I don’t know how you’ve been doing this winter but my family has just been hit with a horrible virus. It’s been brutal. The kids couldn’t eat for days and both have lost weight that they didn’t have to lose. They’re on the upswing now and are able to hold food down so my challenge is to give them healthy foods they are excited to eat. Foods with a little ‘stick-to-your-ribs goodness’ that will nourish and comfort and give their bodies the energy they are lacking so they can heal. Muffins are just the ticket. 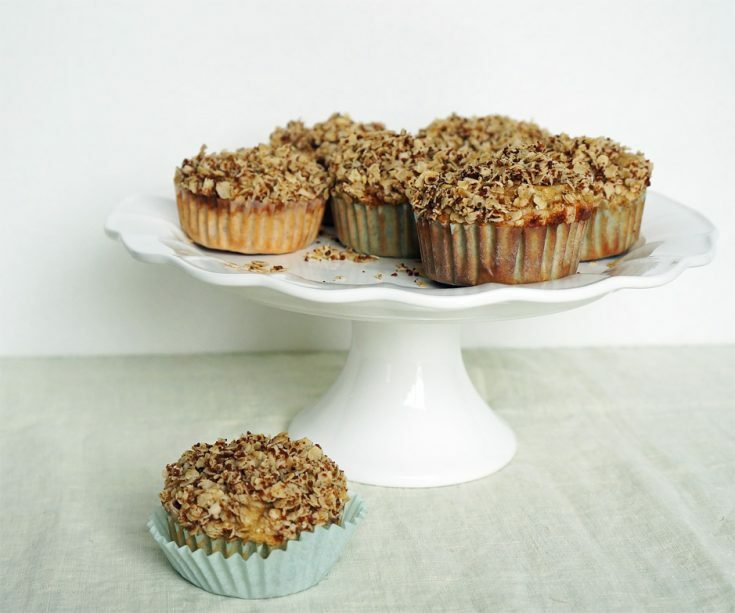 They need the carbs and a touch of sweetness and what child can resist a fresh baked muffin with a sweet crumbly top? Mine sure can’t. They’ve been gobbling these down and I’ve felt good letting them eat as many as they can handle because I’ve packed these gluten free babies full of good ingredients. I made these simple muffins for the kids but my husband has been raving over them too. He says they’re like a ‘real’ muffin and they don’t taste gluten free at all. I have to agree. 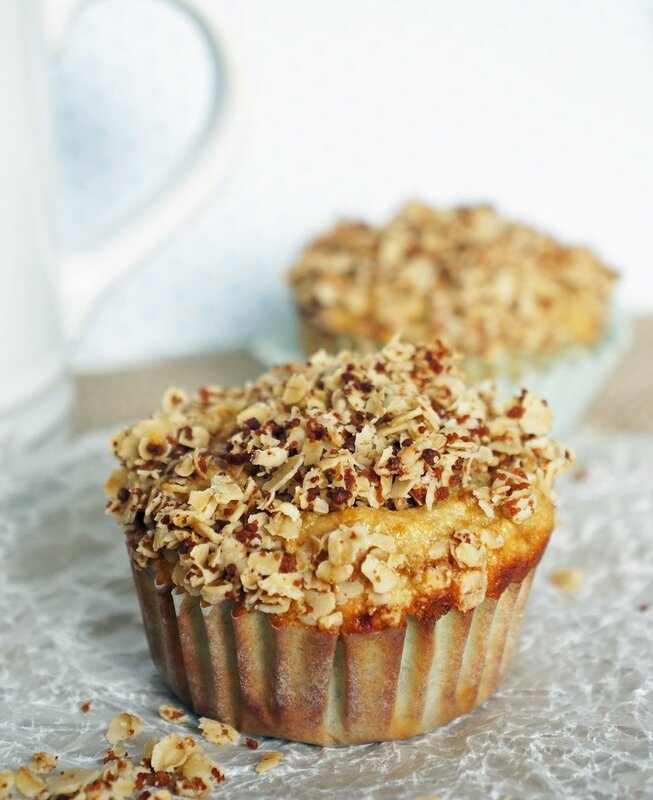 These banana oat muffins are fluffy and moist but it’s the almond flour that really makes them magic. If you haven’t tried baking with almond flour yet you must give it a try. Add oat and almond flour and baking powder. Mix well. Your batter will be fairly loose like a cake batter. Topping: In a medium bowl mix oats, oil and sugar and stir until incorporated. Prepare a muffin tin with liners and distribute batter to fill each until the batter is near the top of the liners - these will rise and puff a little but not overly so. Top each with about 1 tbsp each of topping. Bake in 350F oven for about 20 min until slightly browned around the edges. OMG these look so good! I am making EVERYTHING you post lately! Please come live at my house and cook / bake for me. Ha! You’re funny 😉 But really, I’m glad you’re liking the recipes! Those look amazing. I’m totally making them this weekend. Oh, they look sooo good! Thanks for the recipe, I’ll give these to my hubby – he’s the baker and I’m the cook. Hopefully he can make me some today!